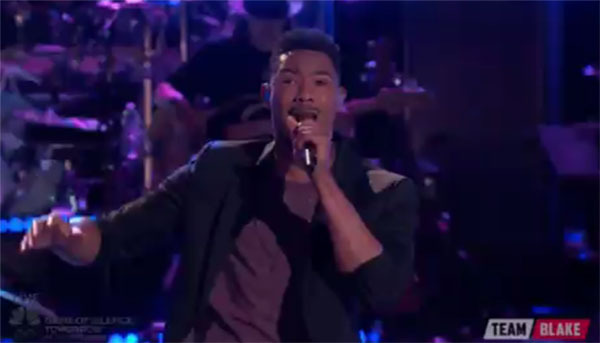 Joe Maye from Team Blake sings ‘Long Train Running’ on The Voice Season 10 Live Playoffs, Monday, April 11, 2016. “That was so much fun. That was great, this definitely beat all your performances,” said Christina Aguilera. “I was happy and thrilled to get you on my team. Incredible performance, we have a shot to win this thing,” said Blake Shelton. Did you like Joe Maye’s performance? Share your thoughts on the discussion box below. To vote, see details below.